Greetings! The 2009 Berkeley Juggling and Unicycling Festival is nearly here, and we hope you can join us for our most exciting festival yet. As you may have heard, we had some last-minute hiccups with our venue this year. Never fear! The variety show will maintain its traditional stage at King Jr High School, but we managed to secure a larger, more centrally located gym at Berkeley High School for daily juggling, unicycling and general fun. This relocation, though undoubtably an inconvenience for those of you accustomed to driving straight to King, means that we can finally keep the gym open until midnight on Friday and Saturday! 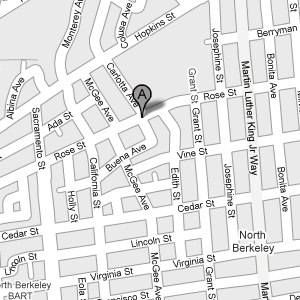 In addition to the extra space and late hours, our new location puts us closer to downtown Berkeley with it's pleathora of shops and restaurants, and is a mere two blocks from the downtown BART station. We encourage all attendees to carpool and use public transit if at all possible. Saturday morning, Berkeley has a large Farmer's Market just across the street with great food and a public plaza for any attendees who want to sample local produce and the Bay Area sunshine. great show kid, that was one in a million! The Berkeley Festival's public variety show has become a community event, attracting over 400 attendees last year! We work hard to provide a show with a variety of acts from the full spectrum of circus arts, and this year promises to be our best ever: after a two year absence, Frank Olivier will be returning as emcee, and together we have assembled a selection of performers from the incredible pool of talent here in the Bay Area. The show is family friendly, fun for all ages and the best entertainment value you can possibly imagine! All show proceeds go directly to funding the Berkeley Juggling and Unicycling Festival and supporting circus arts in our community. This year, we are partnering with Climate Theater to make our event even greater! Aside from arriving with your props and positive spirit, attending the show (and convincing your friends to join you!) is the best way to support our efforts. Franklin Olivier developed his unique off-beat brand of humor in San Francisco's comedy clubs, and has shared the bill with Dana Carvey, Robin Williams, Whoopi Goldberg, and many others. After three years on the Broadway hit show "Sugar Babies", Olivier has a growing number of television appearances including The Tonight Show, Comic Strip Live, and shows for PBS, HBO, BBC, Disney and more. 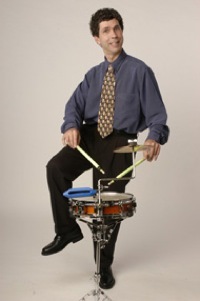 He also headlines Las Vegas, comedy and theater festivals, and performs countless corporate shows. With a background in music and theatre, Louise began training aerial silks in 2005. She performed on both coasts with Firefly Aerial Acrobatics and taught silks and static trapeze at The New York Circus Arts Academy. She currently resides in the Santa Cruz mountains with her rockin' husband, Corbin Dunn. She can be found teaching silks classes at Gravity Arts in Santa Cruz. Draco the Juggler (Chris Garcia) was influenced and taught under the style of Matt Hall, a Japanese teacher and amazing juggler at his school, Silver Creek High. Draco was the vice president and president of the SC Jugglers his junior and senior year. After high school he became the 2008 CA Diabolo Champion upon winning first place at the Cal State Yoyo Contest in San Francisco. 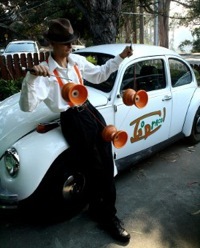 He is now head organizer of the UC Santa Cruz Juggling club and head organizer of the Santa Cruz Juggling Festival. Hang onto your hats, Ryan, the current World Freestyle Unicycle Champion, is about to blow you away with a demonstration of freestyle unicycling at the highest levels! 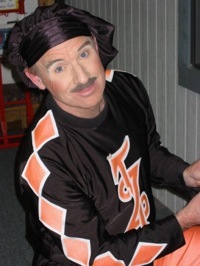 Michael Davis is the original comedian/juggler of the New Vaudeville. For over 25 years he has entertained audiences with his wit and skill on the television, broadway stage and countless corporate comedy shows. 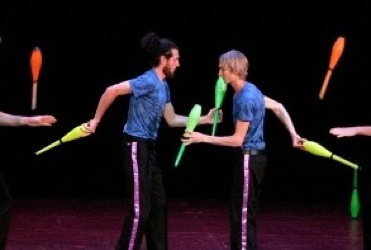 This eclectic and versatile Juggling Quartet combines stunning new age club passing with creative choreography and hilarious antics in an awe inspiring new stage routine that won them the 2009 IJA Team Championships Bronze Medal. Kaori Matsuzawa has been riding unicycles for 13 years with unmatched grace. She was a competitor and a unicycle coach in her native Japan, and is now a full-time student at a California university. Kaori has won world championships in individual free style and pairs freestyle, and has been runner-up in group freestyle. She was also featured on Dan Heaton's "Defect" DVD. Kaori occasionally teaches unicycling in different countries and states. Jean-Paul was born in Algeria, Africa to fourth-generation circus performers (trained in the European tradition) who passed on their art to their family. At the young age of 5, he made his debut as the youngest high-wire performer in the world in London, England. This was the start of a long and distinguished career showcasing his talents in numerous European and American circuses and variety shows. In terms of his current work, he prides himself on his shows being a variety act for all age groups–sophisticated humor for the adults and sight humor for the younger set. Noah Malone is 14 years old and has been juggling for nearly three years; moving quickly from basics with a set of gift beanbags to practicing two hours a day. Noah won a five ball best trick competition medal in 2009, and came in second place at the World Juggling Federation 2007 training camp. 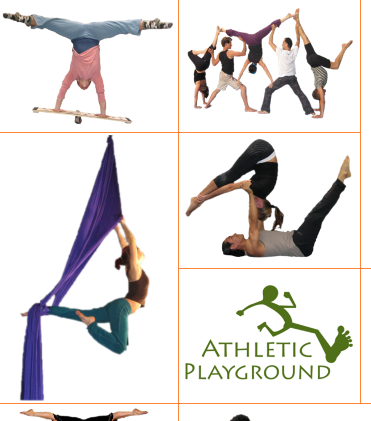 Practitioners of functional, organic movement coupled with a deep mind-body awareness for fitness and fun. The Athletic Playground will be showcasing the fruits of their labor. The Stanford Juggling Research Institute presents their latest findings from the cutting edge of geeky, scientific juggling. We'll award a special prize to audience members who draw correct casual diagrams for all the patterns SJRI juggles. but with the blast shield down, i can't even see... how am i supposed to free mount? While the general festival times noted below are fixed, please understand that the workshop schedules may need to be adjusted during the festival. We generally announce workshops to the gym as they begin, but please check with the front desk throughout the day for updates. If you'd like to run a workshop, contact us and we'll work with you to find a time. 4:00pm Beginning Poi and Poi Practice: Get the tips and trick that will set you on the road to technical poi. 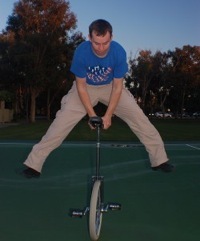 11:00am Poi - Stops and Stalls: Learn the theory and practice of stopping your poi and add punctuation to your spinning. 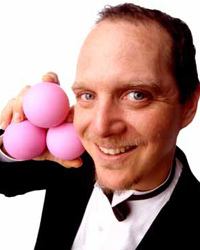 12:00n Contact Juggling Show and Tell: Bring a ball and a trick and let's talk about whats new in CJ. 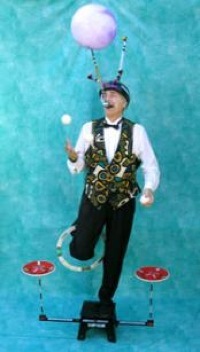 1:00pm Juggling Competitions and Games! 5:00pm Festival ends - see you next year! 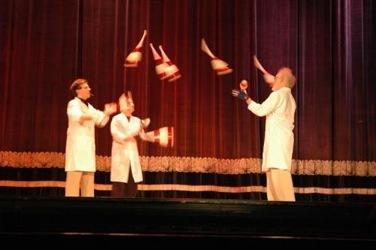 At the BJC, we firmly believe everyone can, and should, learn to juggle. Newcomers, the Construction Zone is for you! A juggling festival is the perfect place to learn how to juggle, whether the thought just came to you or you've been wanting to learn for years. We have a special area set aside that we call the Construction Zone, replete with basic props and helpful volunteers, where you can quickly move from your initial drops right into that thrilling first cascade. Jugglers: volunteering in the Construction Zone is a great way to meet people and give back to the juggling community. Do you remember how exciting it was to get that first exchange? To finally get a cascade running? Now you can help others find the joy of juggling. Please see us at the front desk if you're interested in helping us staff the Construction Zone. We're lucky enough to have several vendors onsite to satisfy all your prop and equipment needs. 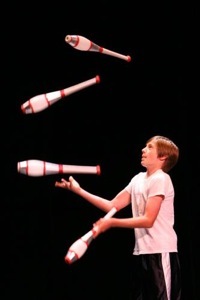 Serious Juggling and the WJF will be on hand throughout the weekend. Supporting our vendors is another great way to show your support for the Berkeley Festival; buy props for that new juggler in your life today! 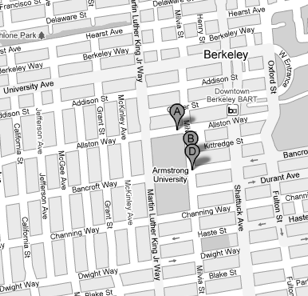 In addition to lots of hard work by the festival organizers we owe a debt of gratitude to the Berkeley Unified School District for providing our home five years running. We would also like to give a special thank you to our non-profit sponsor Climate Theater, support them whenever you can! Of course, none of this would be possible without you, the attendees! Y'all are the reason we put this thing on year after year, so do us a favor: have a great time and come back next year! A Berkeley Juggling Cooperative production, in association with the Berkeley Unicycling folk. No ferrets were excessively exercised in the construction of this website, which passes the strictest validation standards set forth by the International Den of Scaly Lizards. CC licensed 2009, because copyright is an endangered species. Now punch it Cheewie!